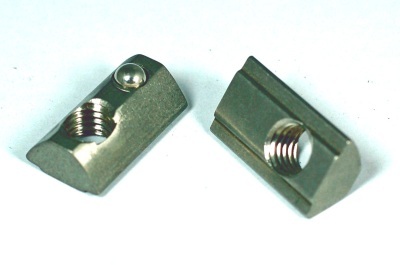 Slot nuts for use in Valuframe profile systems are specially designed to fit securely in the profile slot. This highly efficient system avoids the need to have additional nut types to cater for unforeseen circumstances. There are a variety of designs available and not all are shown here. 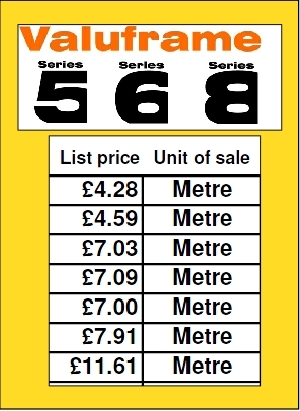 For the vast majority of applications you can get by with the standard single slot nut so that is what we normally recommend. 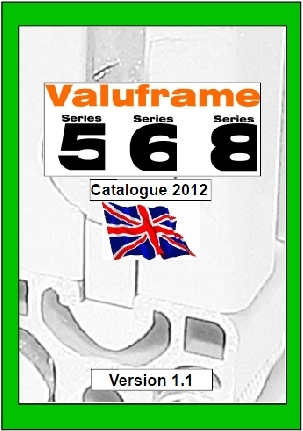 Valuframe slot nuts are the basis of the whole modular aluminium profile assembly system connection. Slot nuts need to be versatile, flexible and economical. Valuframe slot nuts encompass all 3 of these essential factors. 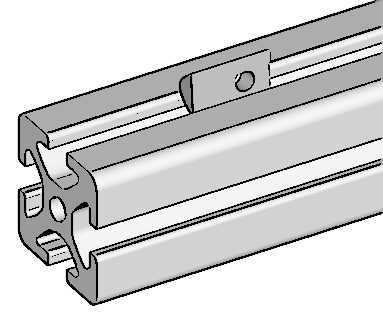 Some systems use slot nuts that can only slide in from the end of the profile, but what if the frame has been built up and you need to insert a new slot nut? Valuframe slot nuts can be inserted from the end of the profile and also from the front. There is even a small sprung ball in the base of the slot nut that pushes the slot nut face to the front of the slot to prevent the nut dropping down when the profile is vertical. Standard slot nuts have a keyed front face that locates the screw threaded hole in the centre of the aluminium extrusion slot. There is an option to have a flat faced version if required. 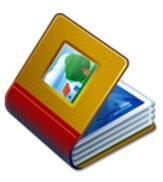 Some of these features are cumbersome, expensive add-ons in other systems, not with Valuframe. Valuframe slot nuts can be inserted into the profile slot from the profile end, but also through the front of the slot as shown below. The sprung ball in the rear secures the Slot Nut in position when inserted into vertical profiles without the need for additional shims or springs.